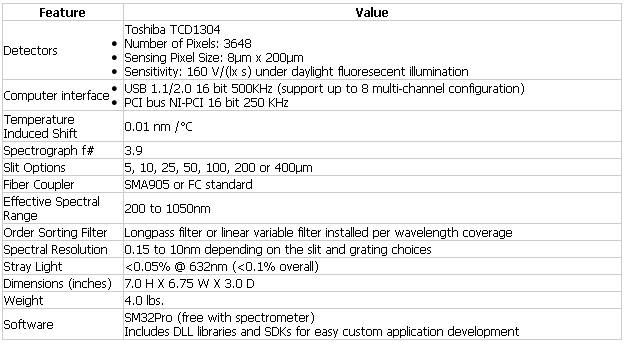 The SM540 is a CCD based spectrometer that offers more than double the resolution of the SM440. This resolution is achieved using oversized (30mm x 30mm) optical-bench components. These components offer approximately four times the effective collimation, grating and focusing area than what is used in the SM400 and SM440. 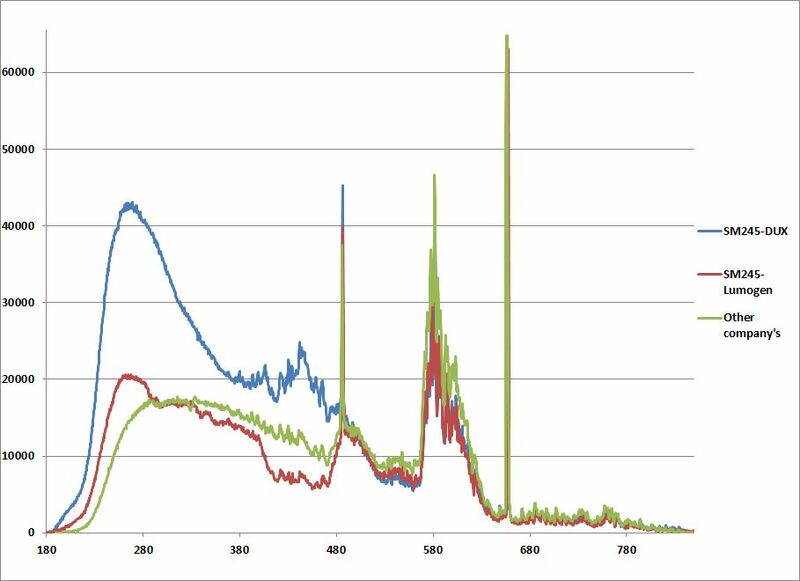 As with all spectrometers, effective resolution increases as window size decreases. A 100 nm window will have approximately 0.05nm resolution (as opposed to 0.15nm for the SM400 and SM440). The larger optical bench of the SM540 makes it possible to have a narrow window size in NIR and get a higher resolution, which is basically impossible in the smaller optical benches like the SM400/SM440 due to the limitation of the grating diffraction angle. Standard interfaces include a USB 2.0 interface and a PCI card interface with 16-bit extended dynamic range. Our USB board can support multichannel configuration up to 8. With this multichannel configuration, a high resolution for wide range or a dual spectrometer system (one for measurement and the other for reference) is possible. Software support includes a SDK and DLLs for dedicated applications development and our SM32Pro Windows-based spectral acquisition and analysis software. Both standard and legacy interface designs provide support for advanced acquisition programming and external triggering.